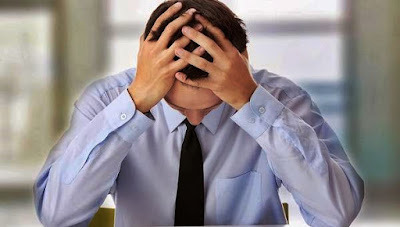 Minor sources of job stress may include equipment that doesn’t work or phones that don’t stop ringing.Major stress comes from having too much work or not getting along with your manager.Any type of stress can cause you to become unhappy and less productive in your job. Here are some options for lowering your job stress levels. Whether it’s an unrealistic workload, job insecurity, office politics or a hostile work environment, you need to figure out what’s making you miserable at work and then you can take steps to deal with it. In addition to your formal appraisal, meet with your manager every six months to talk about your performance and your job. Use this meeting as a chance to clear up issues that may be causing stress for you. Discuss and clarify what’s expected of you, where the company is going and how you fit into that as well as your strengths and areas for improvement. Make a list of tasks you have to do and tackle them in order of importance. Do the high-priority items first. If you have something particularly unpleasant to do, get it over with early and you will enjoy the day more. Drop tasks that aren’t truly necessary to the bottom of the list or eliminate them entirely. Avoid scheduling things back-to-back or trying to fit too much into one day. If your employer offers a course in time management, sign up for it. If you feel the stress building, take a break. Try walking around the block or get involved in some other activity that is relaxing and gets your mind off work. Also try to get away from your desk for lunch. Stepping away from work to recharge will help you be more, not less, productive. Cultivate allies at work. Just knowing you have one or more co-workers can listen while you off-load will reduce your stress levels. Just remember to be there for them when they are in need. Let go of the desire to control or oversee every little step. You’ll be letting go of unnecessary stress in the process. You don’t have to do it all yourself, if other people can take care of the task, why not let them? In the long run, it doesn’t take more time to teach someone else than to always do it yourself. Leave work at work. Make a conscious decision to separate work time from personal time. Avoid checking work e-mail at home. When with your family, for instance, turn off your work mobile and put away your laptop. Make a list of all the demands on your time for one week. On a scale of 1 (not very intense) to 5 (very intense), rate the intensity of stress that each demand causes. Pay attention to events that you ranked as very stressful. Select one of them to explore and implement a solution and then focus on the others. Find out if your employer offers flexi hours or job sharing for your role. The flexibility may alleviate some of your stress and free up some time. Put it in perspective. Jobs are disposable. Your friends, families and health are not. If are really unhappy and the suggestions above haven’t helped, it may be time to start looking for a new job.